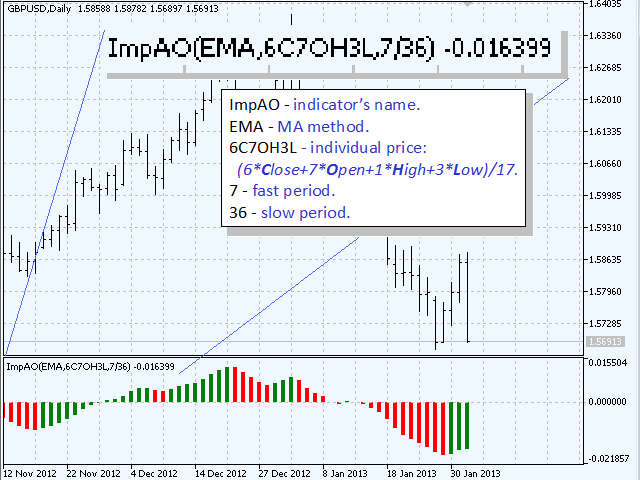 The Awesome Oscillator (AO) indicator is calculated by median price using simple Moving Averages with periods 5 and 34. This modification allows calculating the indicator on the basis of any combination of 4 basic prices: Close, Open, High, and Low, select periods and the method of the Moving Average: simple (SMA), exponential (EMA), smoothed (SMMA), linear weighted (LWMA), double exponential (DEMA), triple exponential (TEMA). Moving Average mode - the averaging method: Simple (SMA), Exponential (EMA), Smoothed (SMMA), Linear Weighted (LWMA), Double Exponential (DEMA), Triple Exponential (TEMA). Example 1. Calculate the indicator by OPEN price: Close=0, Open=1, High=0, Low=0. Example 2. 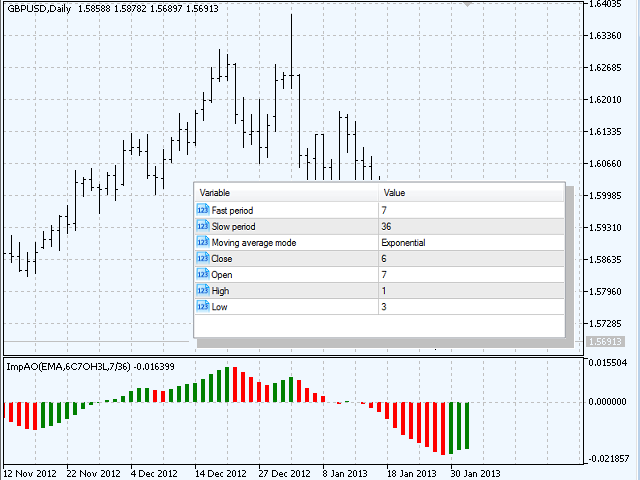 Calculate the indicator by WEIGHTED price: Close=2, Open=0, High=1, Low=1. 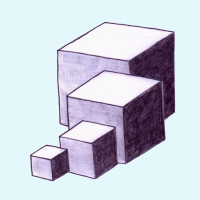 Example 3. Calculate the indicator by individual price constant: Close=6, Open=7, High=1, Low=3. Price=(6*Close + 7*Open + 1*High + 3*Low)/17.